Recreating 1930s New York with the vibrancy and rich detail that are his trademarks, Pete Hamill weaves a story of honor, family, and one man's simple courage that no reader will soon forget. It is 1934, and New York City is in the icy grip of the Great Depression. With enormous compassion, Dr. James Delaney tends to his hurt, sick, and poor neighbors, who include gangsters, day laborers, prostitutes, and housewives. If they can't pay, he treats them anyway. But in his own life, Delaney is emotionally numb, haunted by the slaughters of the Great War. His only daughter has left for Mexico, and his wife Molly vanished months before, leaving him to wonder if she is alive or dead. Then, on a snowy New Year's Day, the doctor returns home to find his three-year-old grandson on his doorstep, left by his mother in Delaney's care. Coping with this unexpected arrival, Delaney hires Rose, a tough, decent Sicilian woman with a secret in her past. Slowly, as Rose and the boy begin to care for the good doctor, the numbness in Delaney begins to melt. Recreating 1930s New York with the vibrancy and rich detail that are his trademarks, Pete Hamill weaves a story of honor, family, and one man's simple courage that no reader will soon forget. Delaney knew he'd been in the dream before, knew from the hurting whiteness, the icy needles that closed his eyes, the silence, the force of the river wind. But knowing it was a dream did not ease his fear. As before, he waved his bare hands to push through the whiteness, but as before the whiteness was porous and he knew it was snow. As before, there was no horizon. As before, his feet floated through frozen powder. There was no ground beneath him. There was nothing to grip. No picket fence. No lamppost. And no people. As before: just the driving force of the snow . . . Although Dr. Delaney doesnt always let it show, he appears to be under great stress from his work. How does he cope with this emotional strain? Why do you think Delaney feels compelled to help people as he does, despite the additional burden it places on him? Dr. Delaney has had a difficult life. How does Delaneys past haunt him in the present? To what degree do you think he has healed by the end of the novel? Why does Grace leave Carlos with Delaney? Do you feel her actions are justified by her explanation? What role do you think her relationship with her own father played in this decision? 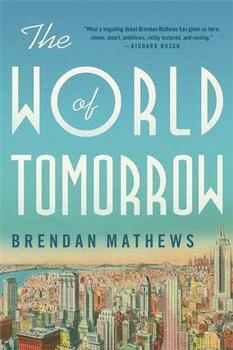 A romantic historical novel set against an idealized backdrop of 1930s New York, where bad things happen but through a soft-focus lens of nostalgia in which the poor are hardworking and honest with hearts of gold, gangsters have mothers and feelings, and the snow falls softly all around. (Reviewed by BookBrowse Review Team). There's a line between loving the past and loving it so much that you falsify it. Too much love, as the tough-minded Rose might have told Delaney, becomes a kind of chokehold. It's not only kids who get spoiled by it; novels do, too. Starred Review. Hamill is not ordinarily thought of as a historical novelist, but if, as the saying goes, the shoe fits, wear it. It is an extremely good fit here. Starred Review. Hamill...has crafted a beautiful novel, rich in New York City detail and ambience, that showcases the power of human goodness and how love, in its many forms, can prevail in an unfair world. Pete Hamill started his career at the New York Post in 1960. He is the author of seven novels and two collections of stories, and his writing has appeared in most national magazines. He has been a columnist for many years, and currently writes for New York's Daily News He lives in New York City with his wife, writer Fukiko Aoki. More at BookBrowse. Three brothers caught up in a whirlwind week of love, blackmail, and betrayal culminating in an assassination plot, set in prewar New York.